Have you ever tried “kamairicha” (lit., pan-fired tea)? It is a type of sencha. 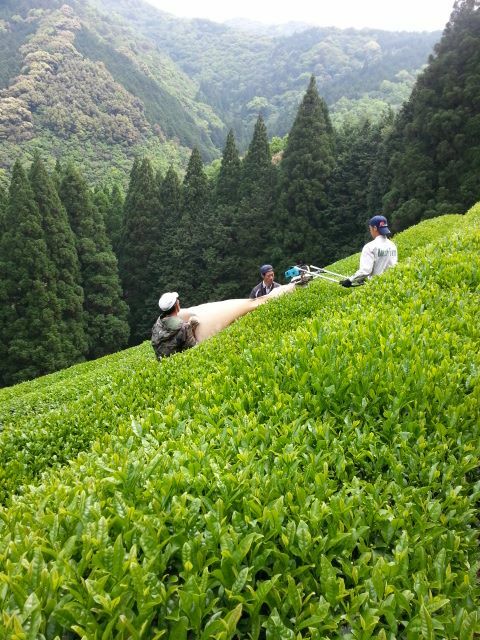 In order to produce the tea, soon after the leaves are picked, they are first heated to deactivate its oxidizing enzyme of the leaves. Then, the leaves are rolled, shaped and dried. How are they heated, then? 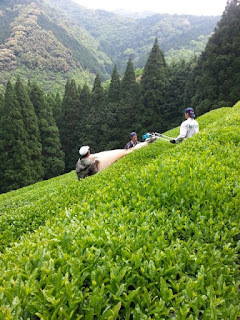 In Japan, steaming is a common method, but there is also another way, which is “pan-fired” (accounts for only about 10% of sencha production, and mainly produced in Kyushu area.) . Unlike steamed one, pan-fired tea has a distinctive aroma known as “kamaka (pan-fired aroma)”, which is great. Mr.Kajihara in Kumamoto produces one of my favorite kamairicha. To be honest, since it was not easily available in my area, sencha meant almost always the steamed type to me. BUT when I first tasted his tea, I rediscovered the appeal of it. It has a pleasant bitterness and nicely-roasted aroma. If you say “sencha”, it doesn’t mean one. 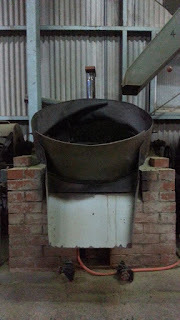 It differs depending on which variety is used, at which area it is grown and how it is produced..... Enjoy the choices! BTW, he produces other type of tea including wakocha. Check it out!